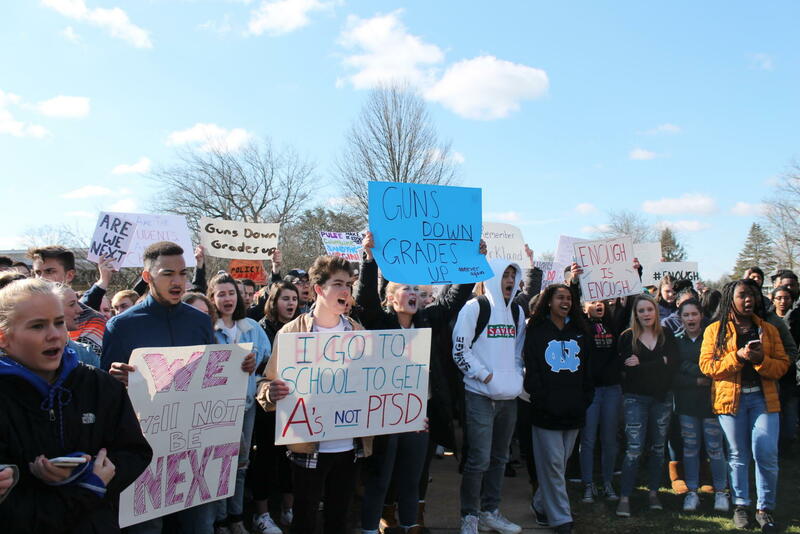 Chants of “not one more” reached the ears of passersbys outside Dulaney on March 14 as students left class at 10 a.m. to gather with signs advocating for improved school security and gun control. In addition to honoring the victims of the shooting at Marjory Stoneman Douglas High School, participants at the walkout protested the lack of measures in place to prevent school shootings. “We definitely have a problem in America. If the adults in the country aren’t going to do anything about it, then we have to,” sophomore Andre Gartner said. 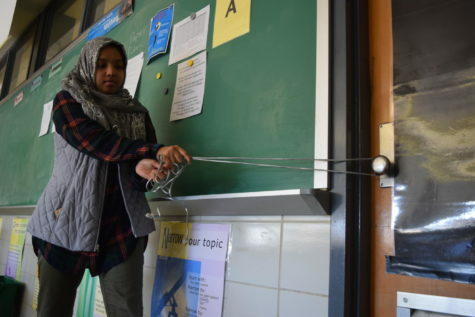 During the walkout, junior Dua Zehra shared the same frustration with the situation. “We know what we want, and we want change. We want gun control. This is us standing up for it. But a lot of our representatives and our senators choose not to act,” Zehra said. 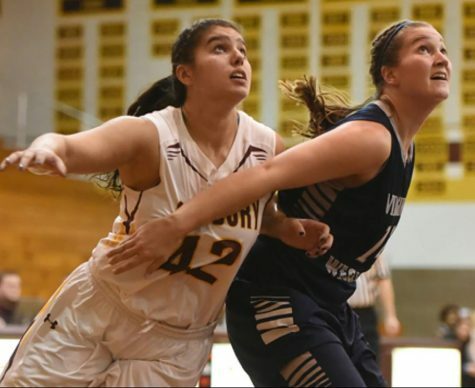 Junior Nancy Slaughter stresses the importance of change. “This is a very big issue and I don’t think it’s being addressed well by the government. The government needs to make gun laws more restrictive and limit the type of guns available,” Slaughter said. Still, students chose to stay in class during the walkout for personal reasons. Discourse included disagreement with gun restrictions and the belief that demonstrations would be ineffective. “The school walkout is unnecessary. It won’t change anything,” junior Ben Lamp said. The Parkland shooting sparked a massive series of protests as a million students left classes to participate, according to estimates from the Wall Street Journal. Seniors Sofia Encarnación and Calvin Penaflor explained that students are expecting more than thoughts and prayers. “For the most part, those that have been gunned down just became statistics. We don’t want to just be statistics,” Penaflor said. This includes students who couldn’t help but draw parallels between Marjory Douglas High School and Dulaney. “The majority of the victims were high school students just like us. It says we as students can be gunned down at any time,” Penaflor said. As the problem eclipses individual school boundaries, politicians and students have offered different answers to the problem. For some, one part of the solution is simple. “We need more drills,” junior Annaliese Collins said. But not all students feel as if this is enough. Every school year, county officials mandate that at least two safety drills be practiced within the school building. 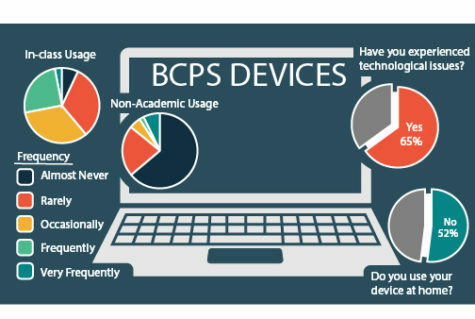 Dulaney has practiced these required lockdown drills however, the low prescribed number continues to be a source of worry for students concerned about protocol during emergencies. “We should definitely have more lockdown drills. People don’t know what to do and I don’t think people feel comfortable,” Gartner said. Others want to foster communication within the community of students, parents and teachers. “Now, it’s more important than ever for teachers and school personnel to talk to students,” junior Joanna Song said. Collins is shocked by the absense of communication. “It’s kind of unbelievable, that this is the first situation that teachers sat us down to talk. Even with stuff like Sandy Hook, nothing was said,” Collins said. Principal Sam Wynkoop agreed, expressng his pride in how the students handled the walkout. He also voiced his readiness to foster discussion with students. “We just need to have opportunities to talk with kids and to be there with kids. We need to trust students and [we need] them to trust us,” Wynkoop said. These events follow efforts made by the school to change. In February, school administrators visited English classes to discuss lockout procedures following the first drill in months. Collins reminds her fellow students that it is still time to act. Throughout the past month, faculty has handed out information helping students contact their local and state representatives to voice their concerns. “This should be a place of learning, not fear,” Collins said. Editors-in-chief Dorrie Gaeng, Maria Eberhart, Emlyn Langlieb and Anna Mason also contributed to this report.